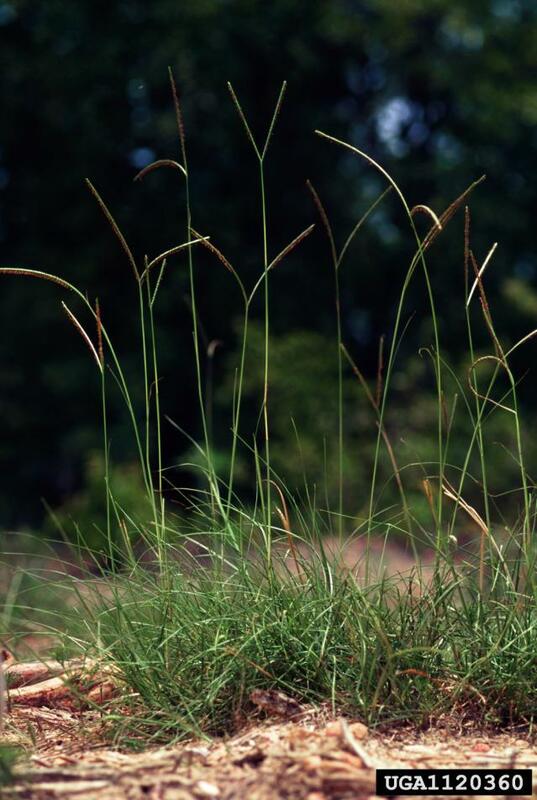 Bahia grass (Paspalum notatum Flügge) is a perennial rhizomatous grass, up to 1 m high, notable for its prominent, dual V-shaped inflorescences (6 cm long). Its root system can be up to 2 m deep. Several commercial cultivars are available. It is mostly used for pasture (FAO, 2009). Paspalum notatum is native to Mexico, the Caribbean and South America. It is widespread in North America and in some areas of Africa, Asia (Indonesia, Thailand and Vietnam) and Australia (Baki et al., 1992). It grows from sea level to an altitude of 2000 m, and in regions with annual rainfall from 750 mm to 2000 mm. Optimal mean temperature is 20°C. It is very tolerant to drought and to a lesser extent to salinity when well established. It is known to survive 20 to 36 days of flooding. 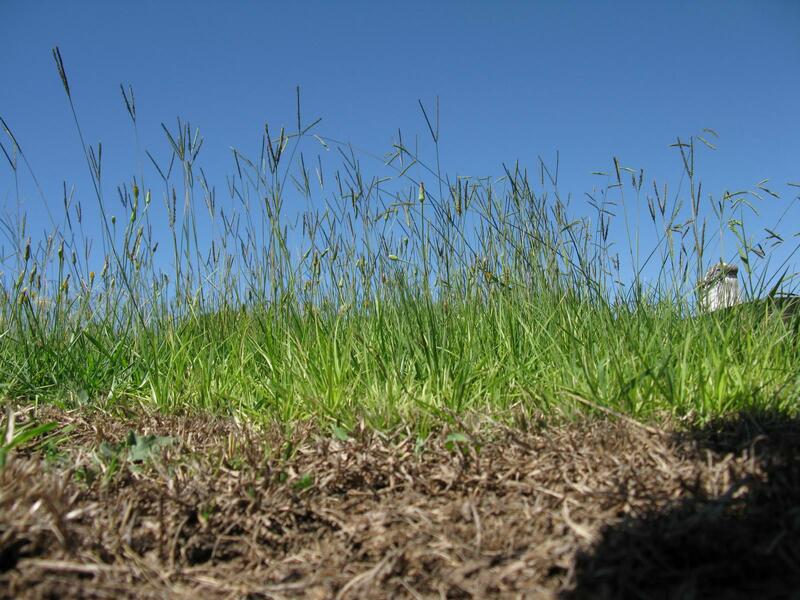 Paspalum notatum yields 3-20 t/ha/year but its nutritive value drops quickly after the seedling stage and it is recommended to respect a six week cutting interval to maintain forage quality. It withstands heavy grazing (FAO, 2009). Because of its deep roots, Paspalum notatum is often used to prevent or stop soil erosion on slopes or terraces (Baki et al., 1992). It is grown as a ley in four year rotations to reduce nematode damage in tomato and peanut crops (Cook et al., 2005). 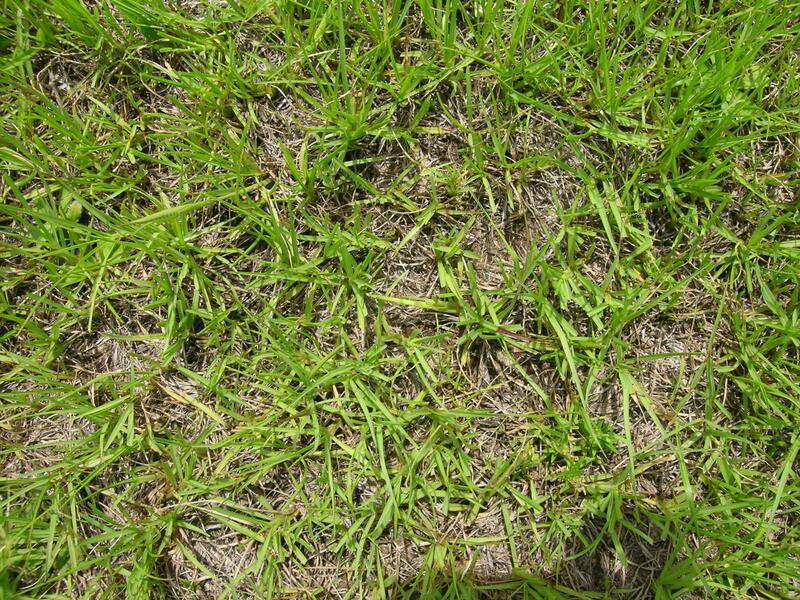 Slight toxicity may exist in strains susceptible to the paspalum ergot (Claviceps paspali). A low level of HCN content has been reported but is unlikely to cause problems (FAO, 2009). Paspalum notatum is nutritious, especially when used young or at early stage of regrowth. It is usually recommended for beef cattle rather than for dairy production (FAO, 2009). 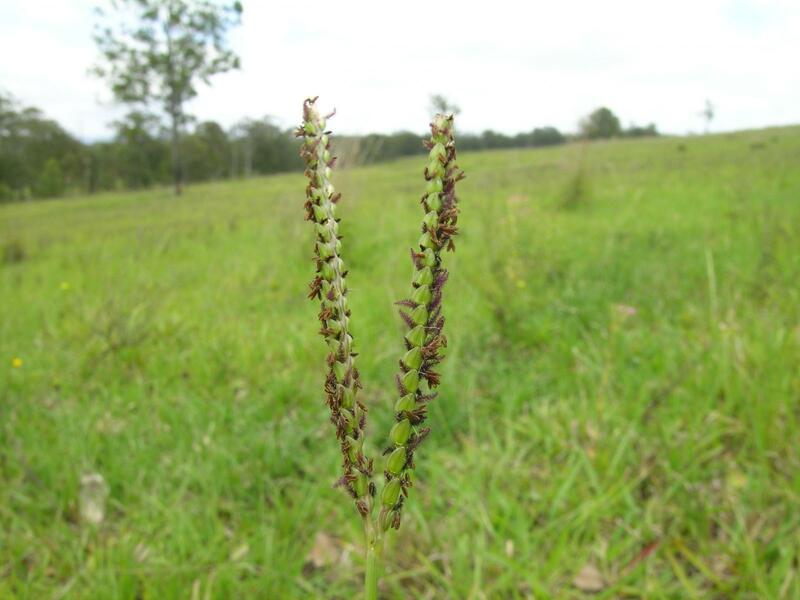 It is widely used as a component of intensively grazed pastures. Its palatability is good when young but decreases with age, and maintaining grazing pressure is necessary to avoid this. Some cultivars are more palatable than others. Addition of N fertilizer may improve intake since it enhances protein content (Cook et al., 2005). Freshly ground Paspalum notatum was shown to retain nutrient quality when maturing (Arthington et al., 2005). In Japan, Paspalum notatum pasture was well utilized by breeding cows and provided sufficient digestible energy and protein (Hirata et al., 2003). In steers, Paspalum notatum had the lowest crude protein and NDF digestibility levels when compared with limpograss (Hemarthria altissima), stargrass (Cynodon nlemfuensis) and bluestem (Schizachyrium stoloniferum) (Horton et al., 1994). In sheep, the feeding value of fresh Paspalum notatum was better than dwarf bamboo (Pleioblastus argenteostriatus f. glaber) (Yayota et al., 2009).